Blue skies and sunshine for the World Para Alpine skiing World Cup in La Molina. Technical events only here as the snow conditions weren't there for speed racing. 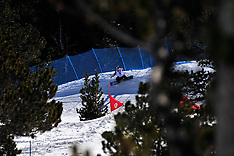 La Molina is no stranger to hosting World Para Alpine Skiing events and once again came through with an excellent piste for the slalom and giant slalom races. Last stop before the World Para Snowboard World Championships in Finland at the end of March. 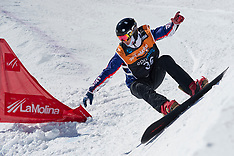 La Molina in the Spanish Pyrenees is no stranger to hosting Para Snowboarding World Cups and World Championships and once again have pulled out all the stops to make sure that racing took place despite the tricky snow conditions. 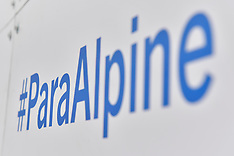 The 2019 World Para Alpine Skiing World Championships 21st January - 1st February - in Kranjska Gora, Slovenia and Sella Nevea, Italy. 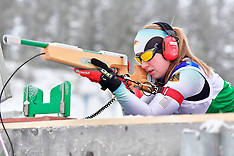 Technical events held in Kranjska Gora and speed events in Sella Nevea. If you are a team looking for a package of photos please contact me directly so that I can put one together for you. 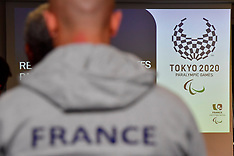 The launch of the Tokyo 2020 project for CPSF France Paralympique. Staff from all sports and from other areas of the French Paralympique program gathered at the legendary Circuit de La Sarthe for a seminar on Tokyo 2020. I covered the first day of the two day seminar - which included an afternoon and evening of go-karting on karting circuit of the 24hrs of Le Mans. As you'll see it rained..... alot! 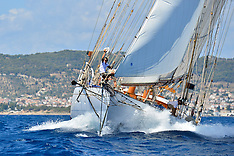 2018 Spetses MiniMarathon with 3 days of sports on the beautiful island of Spetses in Greece. 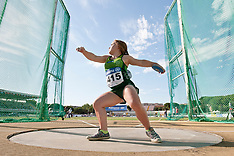 World Para Athletics 2018 European Champsionships in Berlin with Paralympics Ireland. A relatively small team that packs the mightiest of punches! 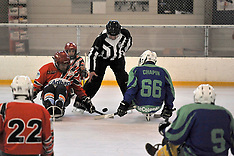 Para Ice Hockey is very much a 'new' sport in France. With only six clubs around the country it is very much in development. The limited number of teams doesn't prevent matches from taking place and this match between Tour and Cherbourg proved to be one of the best matches of the season! Just before play there was an opportunity to discover sledge hockey for yourself and just about everyone took to a sledge and 'bombed' it around the hockey rink! 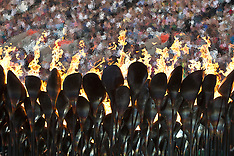 This is a sport that can be participated in as a leisure pursuit or in competition and is open to everyone. 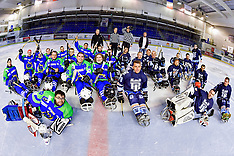 Para Ice Hockey has arrived in France! It is still a sport that is very much under development here. This event, staged at City Glace in Le Mans, is one of many to get hockey clubs involved and hopefully develop more teams around France. From there a French Championships can be envisaged and hopefully, eventually...not too long away....a French Para Ice Hockey Team. Now that'd be cool! 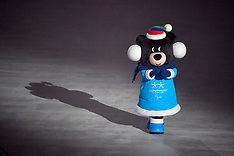 In March 2018 PyeongChang plays host to the Winter Paralympic Games. Here you'll find my photos for the entire adventure from beginning to end. The highs and lows of our athletes on their quest for Paralympic glory. 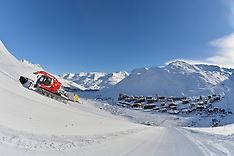 Tignes was the setting for the speed events of this round of the World Para Alpine Skiing World Cup. This high altitude French resort has seen 6 metres of snow fall in just the one month of January and mother nature was going to show us who was in charge this week. 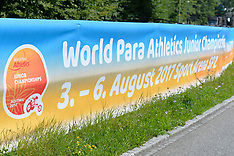 World Para Alpine Skiing World Cup racing moved to the 4 Valleys resort of Veysonnaz, Switzerland. 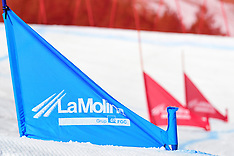 Strong winds and driving snow resulted in only one of two giant slalom World Cup races being held and only one of two slalom World Cup races taking place, too. 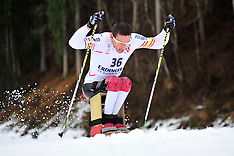 World Para Alpine Skiing World Cup in Kranjska Gora, Slovenia. 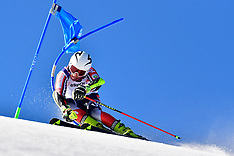 Two giant slalom World Cup events held back to back on consecutive days on the legendary and very steep World Cup (FIS) piste just outside the village of Kranjska Gora. 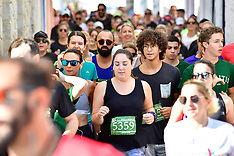 The Spetses Mini Marathon is a three day festival of swimming and running races held on the picturesque Greek island of Spetses. 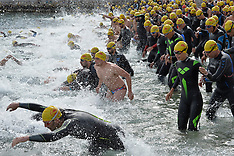 The event, one of the largest in Greece, attracts some 6000 athletes over the weekend including a number of celebrities from the world of sport and cinema as well as other VIPs. 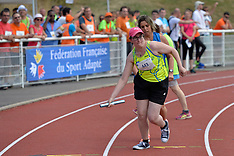 This year's (FFSA) French Federation for Adaptive Sports Athletics Championships took place in Nantes. Athletes from all over metropolitan France and from further afield; Martinique, La Reunion, etc.... came to compete for National titles in a wide variety of field and track events held over two days. 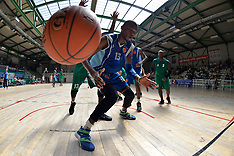 The Federation Francaise de Sport Adapte held the French Basket Ball championships on numerous sites around Bobigny, Bondy, Drancy and Aulnay sous Bois on the outskirts of Paris. The standard of play was impressive with the division 1 finals providing some spectacular basketball in a closely fought championships match. Held every two years the Jeux Nationaux De L'Avenir Handisport attracts children from all over France and from further afield (Guadalope, Reunion, Martinique....) It's a fabulous festival of sports for the kids who can take part in everything from Athletics to Torball plenty of other activities to discover, too. 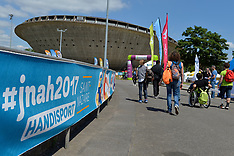 This edition was held in the sunny maritime city of Saint Nazaire. Check it out! 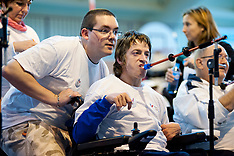 For my third Paralympic Games I was a member of the CPSF France Paralympique delegation working as one of their photographers. My focus was on French athletes; our mission to document the team's performances and medals in at the #Rio2016 Games. As you know from my online archive I cover many different para-sports, but I seem to be developing a penchant towards shooting the more logistically challenging sports like sailing and triathlon! So what you see here is not a complete selection of sports from the games; rather those elements I was required to shoot as part of a team of photographers playing to its strengths to deliver images for the National Paralympic Committee of France and its partners. Indeed the highlight of the entire games for me was shooting the sailing and the triathlon, but the sailing in particular. I had two days on the water and was privileged to photograph Damien Seguin winning Gold in the 2.4R class - this is, sadly, the last time sailing is in the Paralympic Program for the foreseeable future. Hopefully it'll make a return in 2024. With regards the triathlon the opposite is true - it was the first time it made an appearance in the Paralympic Games and France's Gwladys Lemoussu went home with a bronze medal in this event. I loved shooting this sport; especially as I used to race Tri!! Nice to be on the other end of the action. Last major judo competition before the 2016 Rio Summer Paralympic Games. Hosted at the headquarters of British Judo I worked alongside the French team during the competition and the training camp in Walsall. Both judoka Cyril Jonard and Sandrine Martinet came away with Gold medals from this event and good preparation for the games later in the year. Deaflympics qualifying match between France and the Czech Republic at Igny, France. This international football match took place under persistent heavy rain for the first half! France scored the one and only goal of the match and secured their passage to the 2017 Deaflympics. The Stade Louis Lumiere in Paris was the last chance saloon for 6 teams to earn one of two places at the #Rio2016 #Paralympics later this year. Favorites for spot, and number 2 in the world - USA - didn't disappoint. 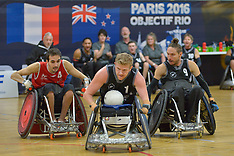 A fierce battle over the remaining place in Rio ensued between hosts France and the ultimate rugby rivals - New Zealand. It was touch and go as France lost their first encounter with the Wheelblacks, but not even the most intimidating Haka on the return match in the semi-finals could quel the French as the commrades in arms took the match to the Kiwis and earned their place in Rio. 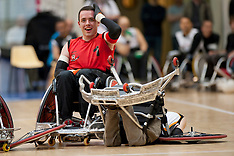 A truly spectacular week of wheelchair rugby which drew in the crowds! 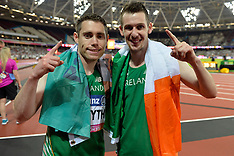 Only one thing could top this....place on the podium for Les Bleus...watch this space. 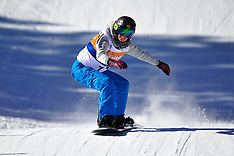 The 2016 IPC Snowboard Europa Cup Finals and a leg of the World Cup were held at Les Angles and Formigueres in the French Pyrenees. Spectacular scenery, great snow, superb boarder cross and bank slalom courses and warm welcome from the locals greeted the riders. It was largely agreed that this was the best event of the season. 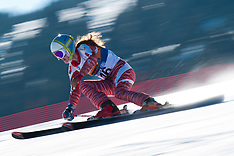 Les Angles is the resort of French Para-Snowboarding World Champion and Paralympic Silver Medalist Cecile Hernandez Cervellon. 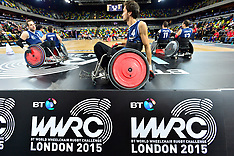 The 2015 BT World Wheelchair Rugby Challenge, held in the Copper Box in the Olympic Park during the rest week of the 2015 Rugby World Cup. Otherwise known as "murder ball" it is a full contact sport with plenty of smashing and bashing! A super action sport. 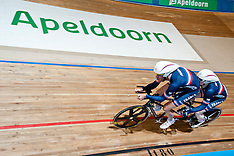 Men's 1km and Women's 500m Time Trials at the 2015 UCI Para-Cycling Track World Championship in Apeldoorn, Netherlands. 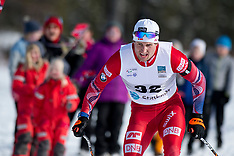 The stunning landscape of Surnadal, Norway is the setting for the finals of the 2015 IPC Nordic and Biathlon World Cup Finals. Sella Nevea is a beautiful tiny resort tucked away in the North East of Italy near the mountain town of Tarvisio. Right on the border with Slovenia it is blessed with perfect snow conditions. 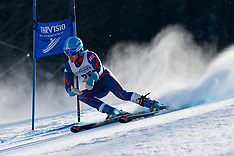 Sella Neva is an international centre of excellence for ski-race training and this year hosted the 2015 IPC Alpine Skiing Europa Cup finals. 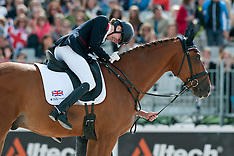 The 2014 World Equestrian Games took place in the French city of Caen, Normandy. The competition saw equestrian enthusiasts flock in from all over the World to see the very best cavaliers competing for world titles in a number of disciplines. Para-Dressage, the only Paralympic Equestrian discipline, was held over a few days at the hippodrome right in the heart of Caen. The first ever para-climbing bouldering world cup. Held in Laval, France in 2014. 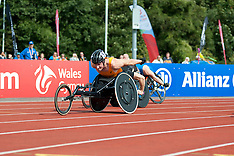 The IPC 2014 European Athletics championships were held at the Singleton Park Athletics Stadium in Swansea. 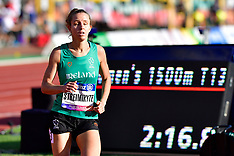 With great spectator support European Titles were claimed and national, European and World Records were broken in what was a very exciting week of athletics. #EuroEscrime2014 was set in the stunning city of Strasbourg in the East of France. Under stifling conditions some of the World class European wheelchair fencers gathered to battle it out over six days for individual and team championships titles. 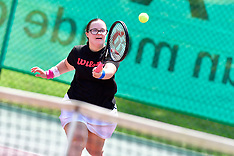 French National Cup for Deaf Sports. A day of basketball, rugby and handball in the town of Brissac just outside of Angers, France. 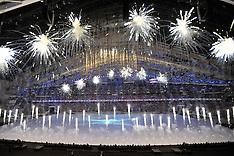 The 2014 Sochi Winter Paralympic Games were the biggest, most watched Winter Games in history. As one of three official photographers for the International Paralympic Committee I was privileged to be tasked with photographing not only lots of winter sports but also to get behind the scenes and cover some of the stuff the general public don't get to see. 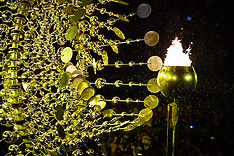 In this collection you will find photographs of everything from press conferences, to the opening and closing ceremonies as well as plenty of sporting action, flower and medal ceremonies. 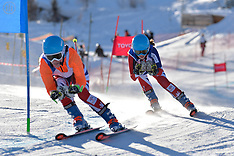 Just before the Sochi 2014 Paralympic Games the para-snowboarders lined up in La Molina to battle it out for World Cup titles in boarder-cross. The two days of racing would point very much towards who'd be on the podiums in Sochi with one or two surprises along the way. The beautiful town of Oberstdorf played host to the 2014 IPC Nordic Skiing World Cup. Despite the mild conditions the Erdinger Nordic centre clung on to its snow laying before the athletes some great terrain to ski on. The racing here would provide an indication on what was likely to happen in Sochi just a few months later. Back in late 2013 I covered the IPC Sledge Hockey (now World Para Ice Hockey) qualifying tournament for the Sochi 2014 Winter Paralympic Games. The tournament was held in Turin, Italy, at the Torino Bulls Ice Hockey rink. 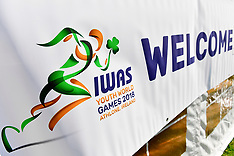 5 days, 3 matches a day with teams from Korea, Japan, Great Britain, Sweden, Germany and the hosts Italy. The final places for Sochi were hotly contested with plenty of fast and physical play! Sometimes, though, the biggest challenge appeared to be the fog on the rink!...but maybe that was more of a problem for us photographers! NOTICE: STILL UNDER CONSTRUCTION! 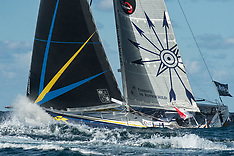 2013 French National Cup in a sport called sarbacanne. In English I guess you'd call it 'blow-pipe.' The competitors shoot tiny darts at a variety of targets. 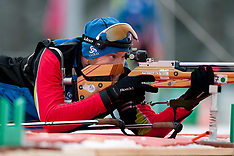 Sometimes the sport is practiced outdoors as well with participants shooting at models of animals to simulate hunting. 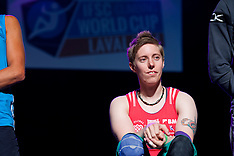 A selection of images from the 2013 Coupe De France Wheelchair Rugby tournament at the Stade Pierre De Coubertin, in Paris. The best teams from all over France came to battle it out for the overall cup title. 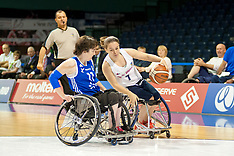 A great technical game with full contact between athletes and a lot smashed wheelchairs and broken wheels! The 2013 IPC Athletics Championships in Lyon still rank as the best athletics championships I have photographed outside of the London 2012 Paralympic Games. 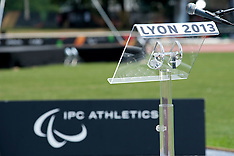 Despite the sweltering heat of the deadly "canicule" in Lyon that week the stadium was packed with spectators and the athletes delivered the World class sports that everyone hoped and expected to see one year on from the London 2012 Paralympic Games. 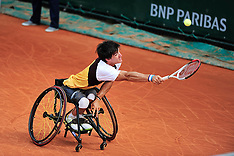 This was France's Paralympic Games and a real game changer for media coverage of handisport in France. A fantastic success! 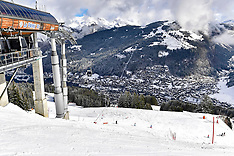 The 2013 IPC Alpine Skiing World Championships were held in the Spanish Pyrenean resort of La Molina. La Molina is a leader in adaptive skiing with many of its facilities setup for the needs of disabled skiers. The snow on the competition pistes was plentiful, hard and fast for an entire week of world class alpine skiing competition. 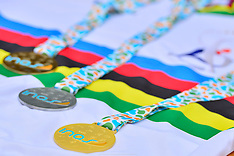 The London 2012 Paralympic Games were, without a doubt, the best Summer Paralympic Games ever. 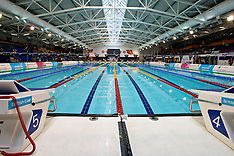 Not only were records tumbling on the infield but also in terms of spectator number both at the venues and through the media. These games will certainly be remembered as the ones that thrust para-sports into the limelight and inspired a generation. You can search this collection on a number of keywords including athlete name, country code or the sport.  Keywords appear along side the image to provide you an idea of what other selections you can make.